Ashton Kutcher may be known for his affinity for beanies and overall laid-back style, but when it comes to cars, this actor goes straight for luxury. Kutcher, who had a long-running role on the series That ‘70s Show and then went on to star in The Butterfly Effect and other films, drives a flashy candy-apple red Ferrari California. This vehicle has several innovative design features – it’s the first Ferrari to have a front engine, folding metal roof, and a seven-speed transmission with a dual clutch. 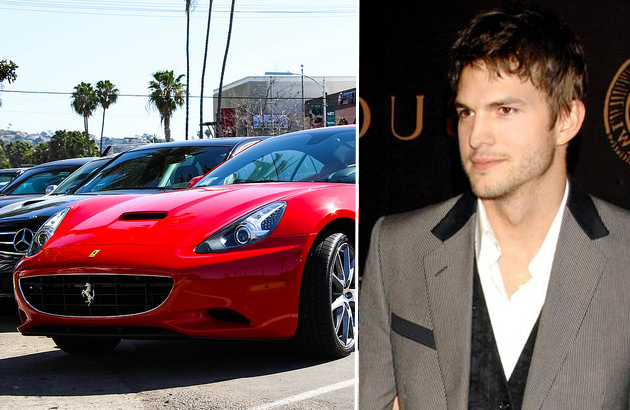 The red California isn’t Kutcher’s only vehicle – he also drives a Lexus LS Hybrid and a Fisker Karma. Kutcher is engaged to actress Mila Kunis, and the two are expecting a child.